Any members who would like to apply for training or renewal of their 3-year first aid certificates should contact the Secretary as funding will have to be applied for, from April 2019 onwards. We plan on having two courses in 2019; one after April and another in December. Note – PA1 is one day; PA6 is one day and Assessments would be over two days (3 per day). Maximum of 12 places and free to members, six places booked (the minimum is six to run the course). (The following members attended the courses – DK, FW, DB, J C-S, GP & KP). The Association already has other equipment and PPE available for use from previous grant funding. Grant funding was obtained for this training from the Forestry Commission Scotland’s Communities Fund for January & February 2019. 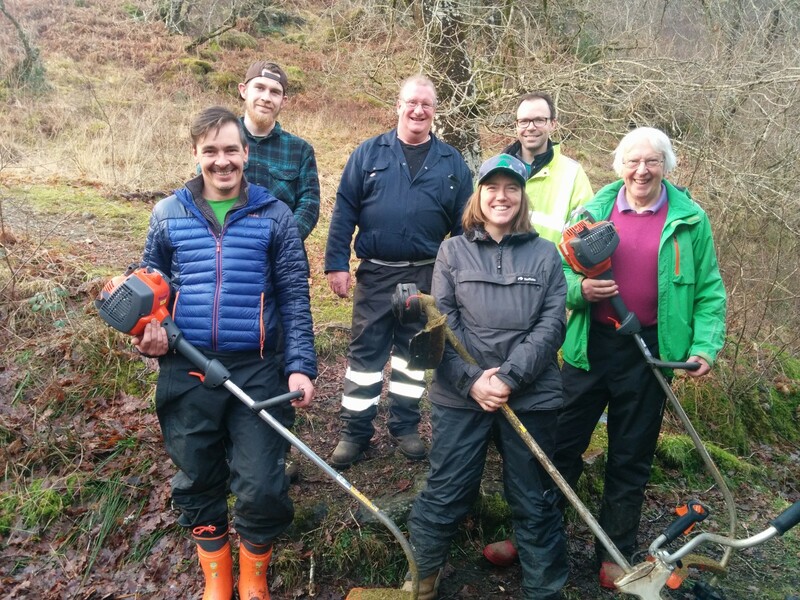 Note – Obtaining free training does commit the member to help eradicate invasive species in Cormonachan Woodlands. We are very pleased to report that in 2019 5 members obtained their pesticide spraying certificates and 2016/2017 18 members took 31 training places on eight training courses that were 100% funded through either the Forestry Commission Scotland’s Seedcorn/Communities Fund or the Natural Heritage Fund Scheme run by the Loch Lomond and Trossachs National Park Authority. The cost of all the training, equipment, tools and personal protection equipment amounted to £8,456.51 that the Association obtained 100% funding for but excluded the pesticide training that was 3/5th of £3,900.00 = £2,340.00 for our 3 members of 5 attending that was organised through the Lochgoil Community Council using the same NHFS 100% funding. So the total will have been well over £10k of funding. The courses run were two First Aid at Work courses in December 2016 and February 2017 when 8 members obtained their Certificates. The first Trimmer course had 6 member and the second 4 members gaining their certificates. The Chainsaw course had 4 members with 4 members gaining their felling trees up to 200mm and 4 members getting their felling up to 380mm and 1 renewing his 380mm certificate. The Pesticides course had 3 members getting their certificates, 2 members getting their Pesticides Spaying course certificates with a special addition for spraying near watercourses and 2 members obtaining their Quad Bike & Trailer certificates. 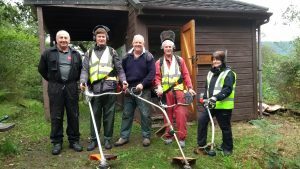 This training will be very good for Volunteers Days in Cormonachan Woodlands and already has been good as all the paths were strimmed during the Trimmer courses and a large number of Sitka spruce trees were felled during the chainsaw course. Please call the Secretary if you would like to go on a training course that would be free to members subject to grant funding. Note – Obtaining free training does commit the member to help with the task he or she has been trained for in Cormonachan Woodlands.